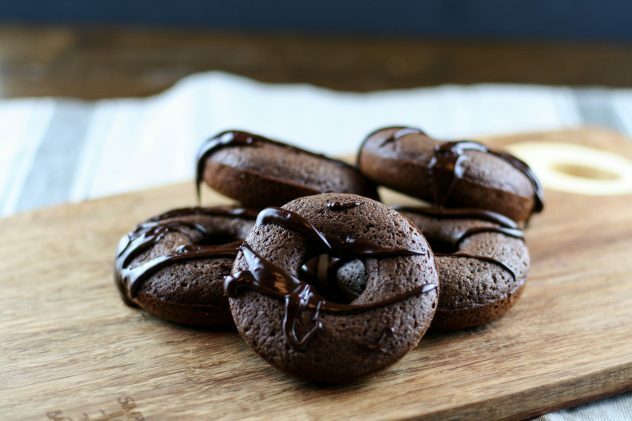 Chocolate donuts, the perfect companion to a hot cup of coffee! Donuts and coffee go together like cheese and wine, I mean who doesn’t want to relax on Saturday morning with a hot cup of coffee and a warm chocolate donut?!? 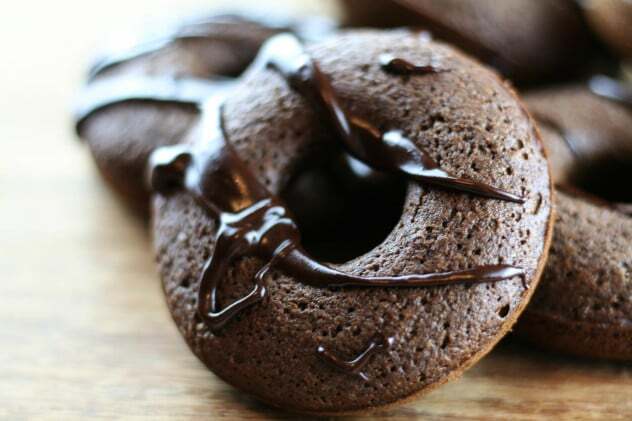 I bring to you this nut-free, grain-free, refined sugar-free chocolate donut on this Friday, just in time for you to whip a batch up tomorrow morning. Don’t be fooled by the fact that these are free of all those crappy things like wheat and sugar because they are SO. RICH! 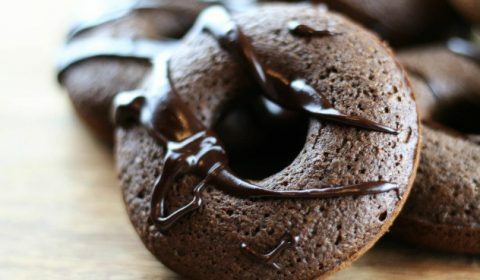 This donut recipe comes from Grassfed Girl’s website. I did have to find a donut pan to pull this recipe off, which I easily found at my local Bed, Bath & Beyond. Grabbed one for under $10 and I was ready to whip up a batch of Saturday morning donuts. These were so easy to make, much easier than I thought they would be. I can’t wait to make other donut variations down the road. 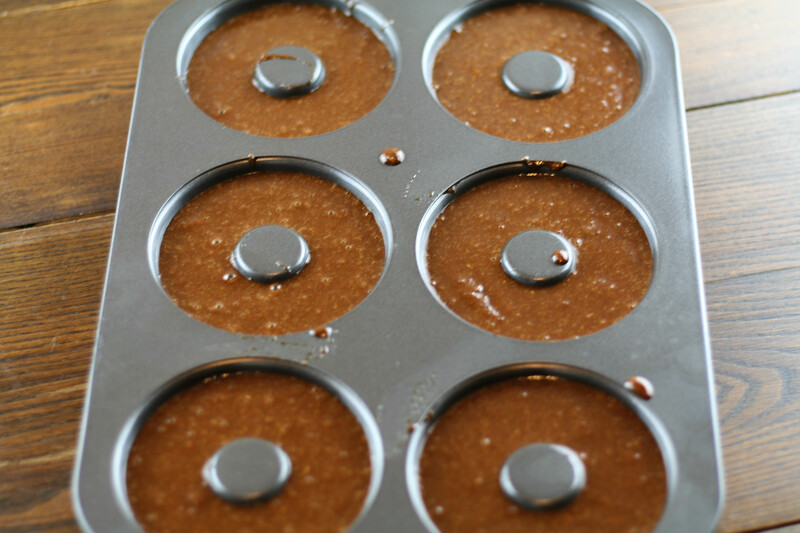 Mix the coconut flour, flax seed, cacao powder, baking soda, salt and sugar in one bowl until well combined. Add the melted coconut oil and mix until smooth. Using a 1/4 cup measuring cup, pour batter into a donut pan and bake for 20 minutes or until done. While the donuts are cooling, melt chocolate chips in a saucepan over low heat. When melted, stir in coconut milk. Mix together and remove from heat.